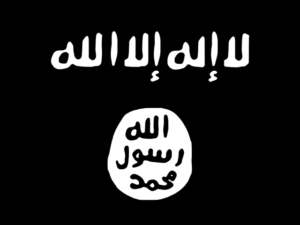 On the 21st of May, in a new propaganda audio message released by the Islamic State in Iraq and Syria’s media arm al-Furqan, the group’s spokesperson, Abu Mohammed al-Adnani, urged sympathisers in Europe and the United States to launch lone wolf attacks on civilians in their home countries if they are unable to travel to the caliphate in Syria and Iraq. Adnani encouraged lone wolf attacks during the holy month of Ramadan, which starts early in June, “to win the great award of martyrdom”. So what exactly are “Lone Wolf Attacks” and why are the terrorists using it? Among the Islamists, the concept of lone wolf attacks can be traced back to 2003 when an article posted in the extremist internet forum – Sada al-Jihad (Echoes of Jihad) – encouraged sympathisers of Osama bin Laden to take action without waiting for instructions. In 2004, Abu Musab al-Suri (or Mustafa Setmariam Nasar), a dual citizenship Spanish-Syrian who was in the inner circle of Osama Bin Laden, but fell out with him after 9/11, published an article titled “Call for Worldwide Islamic Resistance” on the Internet which called for the next stage of jihad, characterized by terrorism created by individuals or small autonomous groups. In 2006, al Qaeda leader Abu Jihad al-Masri followed suit with a call to arms, titled “How to fight alone”, which was circulated widely in jihadist networks. Although, Jeffrey Simon, security consultant and visiting Professor at the Department of Political Science, UCLA, has conceptualised “lone wolf terrorism” very well in his book Lone Wolf Terrorism: Understanding the Growing Threat, it is important to note here that no single definition of lone wolf attacks or lone wolf terrorism exists. Jeffrey Simon, in his book, states that there are five basic types of lone wolves — secular, religious, single-issue, criminal, and idiosyncratic – although some lone wolves fall into more than one category. Indeed, classification and categorisation of lone wolf attacks is complex. The challenges of lone wolf attacks confronted by law enforcement agencies has increased very recently and there is a need for a comprehensive definition in order to combat this new kind of challenge and assess the response and propose innovative ways to combat this phenomenon. A comprehensive survey of past Lone Wolf Attacks indicates that self-radicalisation using the internet is a recent phenomenon. In the past, radicalisation used to take place through jihadist literature, books and other propaganda material. The lone wolves usually driven by perceived injustice and looking for a larger calling in life, are attracted to online chat forums, blogs, videos or social media where they can find propaganda and radical material using which they end up radicalising themselves. Along with anonymity, the internet provides potential Lone Wolf Terrorists (LWTs) with instructions on obtaining weapons, building explosive devices from easily-obtained materials, and names and descriptions of potential U.S. owned targets. Even though the number of lone wolf attacks and people killed in these attacks is still quite low, the ability to create panic by these attacks is very high. Imagine a beheading, or a mass shooting by a lone wolf in Trafalgar square of Time square? A 2013 study by Sarah Teich points out an increase in the number of countries targeted by lone wolves from the 1990s to the 2000s with the highest level of attacks occurring in the United States, followed by the U.K and Germany, and that there is an increase in the number of people injured and killed by lone wolves. According to her findings, the number of attacks has grown exponentially since 9/11 and the war on terror. Whereas there were nine injuries and five deaths due to lone wolf attacks in the decade preceding 9/11, the number of injuries and deaths rose exponentially to 54 and 33 respectively in the decade 2000-09. Further, the increase in the number of lone wolf attacks has been consistent with 275 injuries and 15 deaths due to such attacks since 2010. 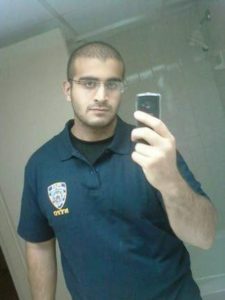 For the law enforcement agencies, a lone wolf terrorist is more difficult to trace as he/she is not physically affiliated to any terrorist organisation. Lone Wolf Attacks are different from conventional terrorist attacks given that they are carried out without any help or direction from any larger organisation and are therefore difficult to predict as intelligence gathering about such attacks is also comparatively difficult. Also, these lone wolves access propaganda and radical content over the internet, but doing so is not a crime in western society. Surveillance may alert security agencies of individuals accessing such content or sympathising with terrorist organisations, but these agencies cannot take action against these individuals because they are not breaking any law by browsing through such propaganda material. According to a law enforcement bulletin prepared by the Central Florida Intelligence Exchange, Islamic State fighters have increased calls for “lone wolves” to attack U.S. soldiers in America in recent months, citing one tweet that called for jihadists to find service members’ addresses online and then “show up and slaughter them.” Additionally, the US remains the primary target among western states for LWAs. Ramon Spaaij, in his book Understanding Lone Wolf Terrorism: Global Patterns, Motivations and Prevention, states that of the 198 LWAs carried out between 1968 and 2010 across the US and fourteen other predominantly western countries, 113 occurred in the United States, representing fifty-seven percent of all attacks. On the other hand, Robert Leiken in his book Europe’s Angry Muslims: The Revolt of the Second Generation points out that it is the uncritical official tolerance that has bred conflict. For instance: while the British government embraced multiculturalism, encouraging Muslims to form separate enclaves, some of which fostered hostile extremism and even terrorism, France rejected multiculturalism, encouraging Muslims to assimilate. Less terrorism ensued, and the riots in recent years involving young French Muslims have had little to do with Islam or jihad and instead have been responses to unequal access to education and employment. Whether or not the threat of home-grown lone wolf terrorists can be addressed by reversing the perception of injustice and discrimination among second-generation Muslims is a question of immense importance. However, worryingly, it should not be forgotten that most lone wolves terrorists are likely to display some form of psychopathology as well as social ineptitude, which poses a unique challenge to the security and intelligence agencies.